Neither the honking of impatient drivers navigating the busy Seoul streets nor the happy chatter of awe-struck tourists distracted Yong-jun from his mission. In the courtyard of Jogyesa Temple, he stood shaded by thousands of traditional hanji lanterns hung in honor of Buddha’s 2557th birthday, just as he had each year since 1969. No longer a spring chicken himself, Yong-jun’s neck and eyes protested the strain as he read each of the prayer tags dangling below the brightly colored lanterns. The tags danced merrily in the soft May breeze, making his deliberate examination all the more difficult. This one hopes for a good score on an exam, these two both seek romantic relationships, that one wishes for his new baby will be born healthy and strong, the one over there pleads for relief for her father’s painful cancer treatments. Yong-jun was certain that all of these prayers were heartfelt and deserved to be fulfilled, but none was quite right. He continued to read, shuffling slowly down each row, mumbling the words of anonymous supplicants under his breath, frowning occasionally at an especially somber prayer, and laughing out loud at the triviality of others…praying for a Happy Meal instead of bulgogi for dinner, indeed! I’ve chosen to incorporate two challenges in today’s post. The first is The Daily Post’s Weekly Photo Challenge: Pattern. Between the hanging lanterns and the painting of the temple itself, there is no shortage of pattern in this picture I shot at Jogyesa in the days leading up to Buddha’s birthday in 2009. I also wanted to work in the Trifecta: Week Seventy-seven Challenge, in which I was required to use the third definition of deliberate (3: slow, unhurried, and steady as though allowing time for decision on each individual action involved ) in a piece of 33 to 333 words (I did it in 327). 😊I want to hear the rest of the story! Yes, I feel like there should be more…why did she wait so long to ask to see him? I’ll have to mull is over for a while, and see where it takes me. Oh, this is a set up for a really cool story. I love the lantern and the prayers attached to them…and that he found his from so long ago. It takes true love and dedication to inspect all of those lanterns year after year. Lovely piece. A father’s love is special…I know not all fathers have such deep feelings of commitment, but I thought it important to pay tribute to those who do! That is a devoted father. If only there were more amazing stories like this. Lovely work. Thank you for reading, and for providing a thought-provoking challenge each week to stretch my creativity. Wow, what a lovely, creative take on the prompt! Gorgeously written! Thank you for your kind words! 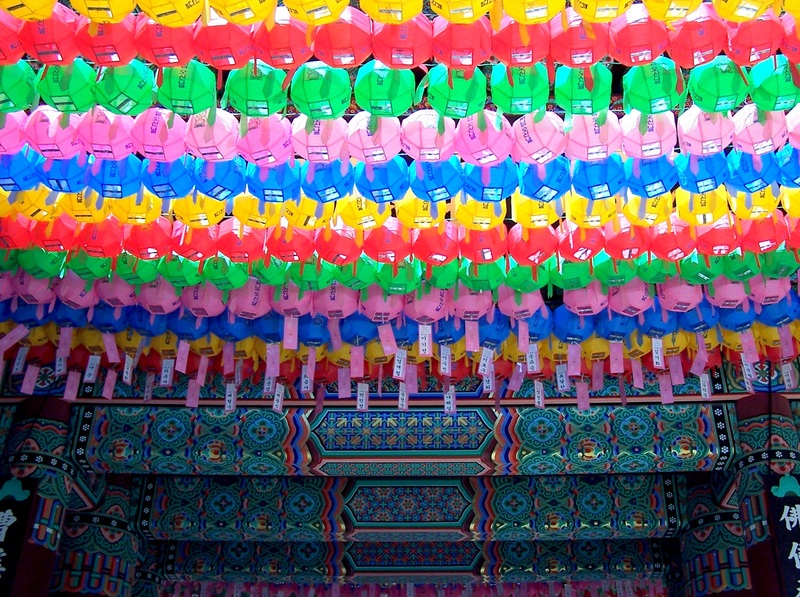 I don’t read Hangul, so my mind created all sorts of imaginary wishes tied to the lanterns when I visited the temple. It’s nice to finally have an outlet to give some of those imaginings a voice. This is just gorgeous – the detailed perusing of the wishes, and then the wish come (believably) true. Fantastic. Thank you! He’s very dedicated, that’s for sure. I’m glad his faith paid off in the end.